We deliver. On time, efficiently and of the highest quality. Whether fresh, frozen or non-frozen products, integrated supply chain management solutions or parcel dispatch – our customers can rely fully on the logistics competence of Lekkerland. We find optimal solutions for all our customers – and we always want to be “your most convenient partner” in the field of logistics. In order to guarantee outstanding delivery quality and performance at all times, the Lekkerland logistics centres in the various national companies are positioned regionally. It is our aim to always be as close as possible to our customers. 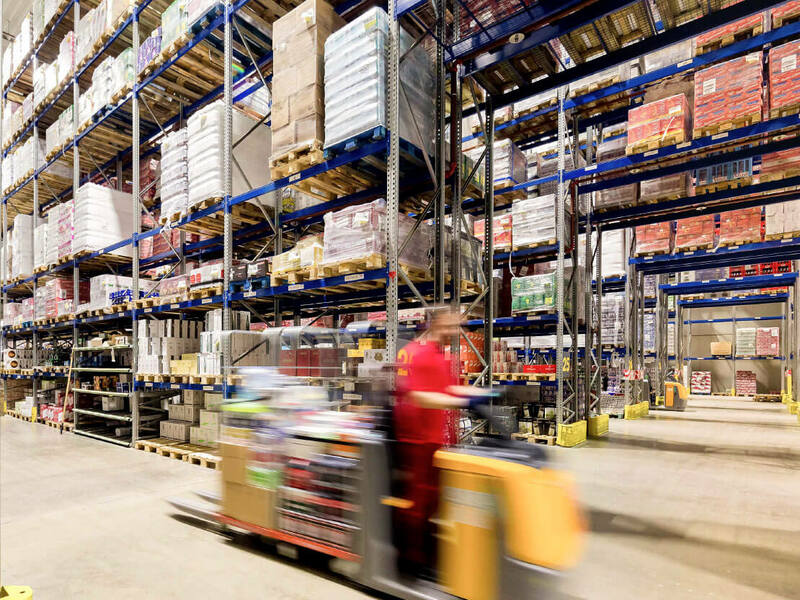 Our modern logistics centres in Europe work with efficient warehouse and picking systems. Lekkerland’s product range comprises a wide variety of products which have different delivery requirements. An example: the ice cream on the stick must be frozen throughout, the pre-cut salad for the bistro must not freeze, but must also not remain uncooled. In 2013, Lekkerland developed an optimum solution for this with its multi-temperature logistics and rolled it out throughout Europe in the following years. We can deliver a customer’s complete order with uncooled, refrigerated and deep-frozen products in just one delivery, making cooperation with Lekkerland even easier – “convenient”. The concept of multi-temperature logistics was awarded the logistics prize in Germany in 2013. Transparency from order to delivery: In Germany and the Netherlands we have been informing you digitally about the status of your delivery and the expected arrival since this year. The topic of alternative drives is also driving Lekkerland: The first electric truck of the Lekkerland Group is in operation in Switzerland. Always keeping an eye on the environment: We avoid detour kilometres through our efficient, digitalised route planning. For our measures to reduce CO2 emissions, Lekkerland in the Netherlands was awarded by the “Lean and Green” climate protection initiative for the third time for the repeated achievement of CO2 reduction targets. Whether assortment and logistics or pure logistics service: You determine which service you use. You order, we deliver within 24 hours. One order, one delivery – thanks to our multi-temperature logistics. Smaller, parcel-capable orders are shipped via parcel service providers. Are you a system gastronomer with branches in downtown locations? Night deliveries outside the opening hours of your branches are possible by arrangement. Transparency from order to delivery! We inform you digitally about the status of your delivery and the expected arrival. Current events during the delivery tour are taken into account in real time. On request, we can advise you on process optimisation or take over the entire management of your supply chain. On request, we integrate suppliers and production into integrated supply chain concepts. Together with Kraft Foods Germany, we won the ECR Award in the “Supply Side Corporate Cooperation” category in 2012. From system gastronomy in Spain to logistics concepts for super-freshness in the Netherlands to multimodal delivery concepts in Switzerland: thanks to the combined strength of six European national companies, we have expert solutions for all your challenges. We overcome borders because we offer delivery concepts from our warehouses in Germany to many European countries. Do you have to implement the requirements of Europe-wide laws and directives? We can also take care of that for you. We are able to take over your tobacco goods logistics completely and in compliance with TPD2. Do you have a logistical challenge to which you cannot find an answer here? For us, customer orientation also means always keeping quality in mind. With our integrated management system (IMS), we create a quality standard throughout Europe that goes beyond the legal requirements. 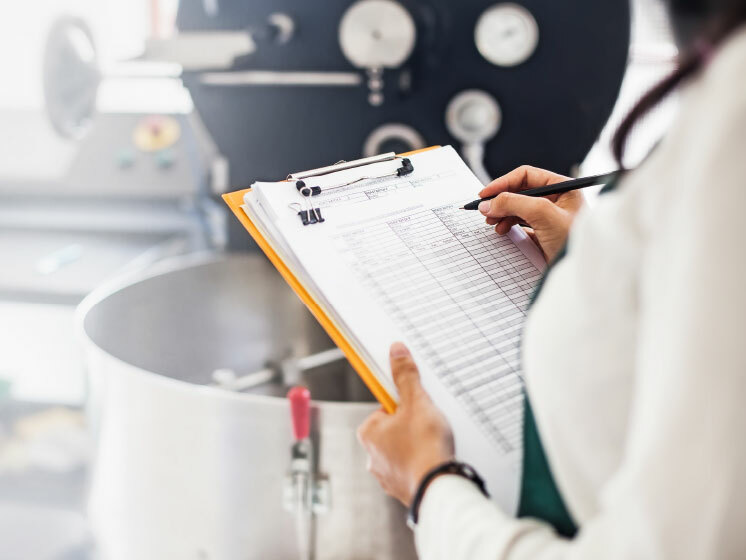 In the IMS, Lekkerland bundles guidelines and specifications from quality management, occupational health and environmental protection as well as food and product safety. Lekkerland’s quality policy includes strict compliance with all relevant standards and laws. This is being confirmed by regular certification in accordance with ISO 9001, IFS Logistics, HACCP and the organic certificate in accordance with the EU Eco-Regulation. Lekkerland also applies the German Corporate Governance Codex with recognised standards of responsible corporate management and makes a clear compliance commitment in its Code of Conduct. We are aware of our social responsibility as a company and continuously strive to work on the effects of our business activities on the environment and society. In the area of environmental protection, we focus on reducing energy consumption and emissions and avoiding waste wherever possible. Thanks to digital route planning and telematics, all Lekkerland drivers always follow one goal: the shortest and fastest route to the customer. This saves time and fuel. In Germany and the Netherlands, we already regularly take part in the Lean & Green Awards, which award companies for meeting the set targets. Do you have any questions about Lekkerland? No Problem – speak directly to our experts.